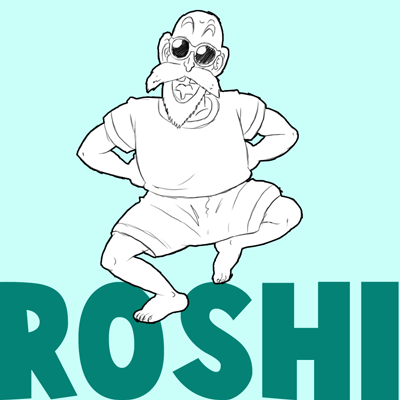 Today we will show you how to draw Master Roshi, known in the English manga and the Japanese versions as Kame Sen'nin and Muten Rōshi. 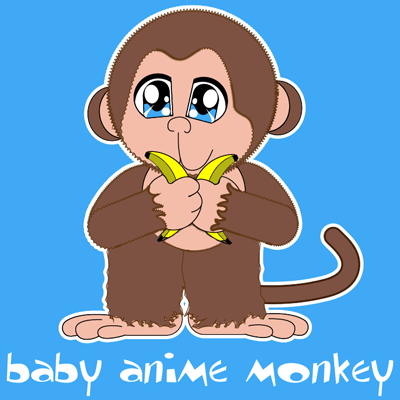 He is an ancient and wise martial arts master and the first Earthling to wield the Kamehameha. 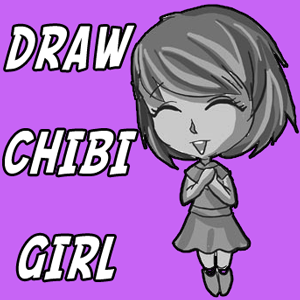 We will show you in simple-to-follow steps how to draw him. Today we will show you how to draw Son Goku, the main character of the Dragon Ball series (Dragon Ball Z). 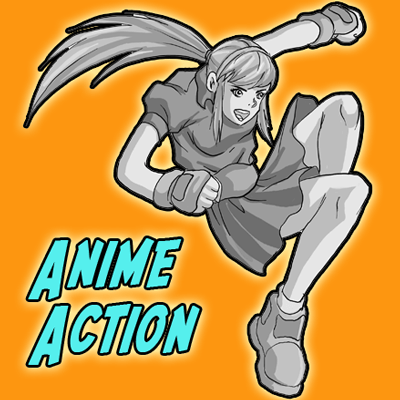 Learn how to draw Son Goku in simple-to-follow steps that you will find within this lesson. 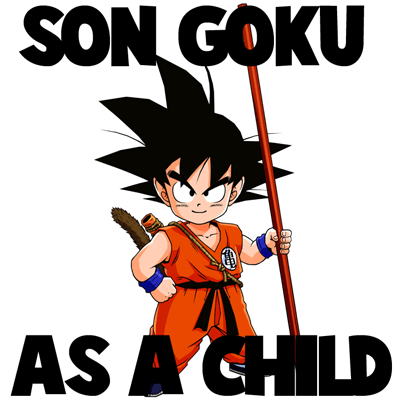 Learn how to draw Son Goku as a Child / Kid from Dragon Ball GT (Dragon Ball Z). 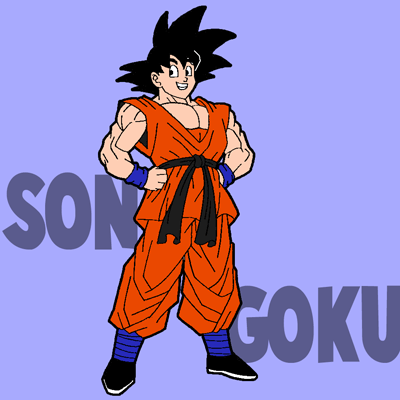 We will show you how to draw Son Goku as a Child with the following step by step drawing tutorial for kids and others. Today, we will show you how to draw Piccolo(Piccolo Jr. ), a character from Dragon Ball Z. Piccolo is the reincarnation of the evil Piccolo Daimao, making him a demon and rival of Son Goku. However, it is later revealed that he is from the race of alien beings called Namekians. However, Piccolo decides to team up with Goku and his friends in order to beat newer, more dangerous threats. 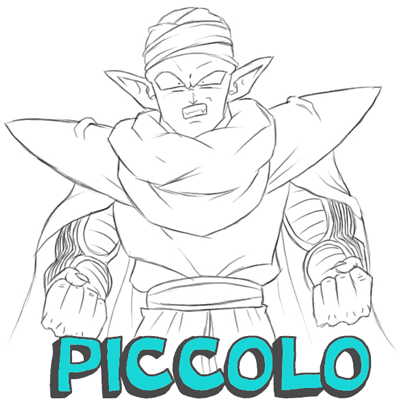 So Learn how to draw Piccolo with the following drawing lesson that includes many instructional steps. 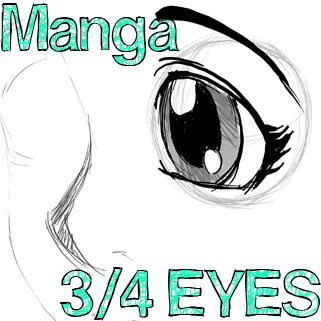 Drawing a 3/4 view of the eye can be simple....and that is what we are going to teach you today.Learn how to draw 3/4 Managa / Anime Illustrated Eyes. However, this drawing tutorial will help those who want to apply what they learn to normal cartoon, comics, and illustrated eyes as well. 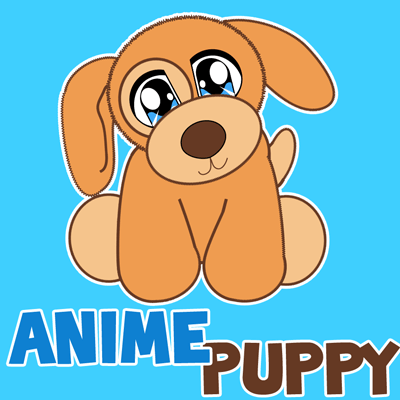 We have showed you how to draw Anime /Manga bodies, faces / heads, facial features, etc...now we will show you how to draw Anime children / kids. 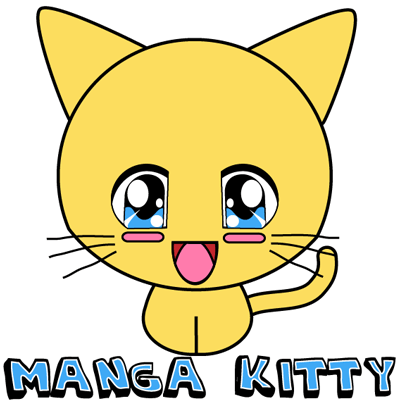 Naruto is a very popular Manga / Anime style show. 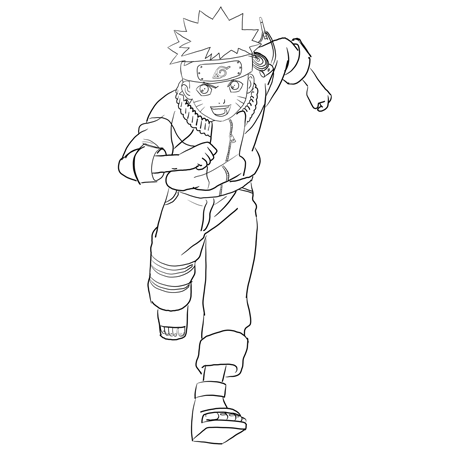 I have put together an easy step by step drawing tutorial that builds up Naruto’s form with simple shapes. 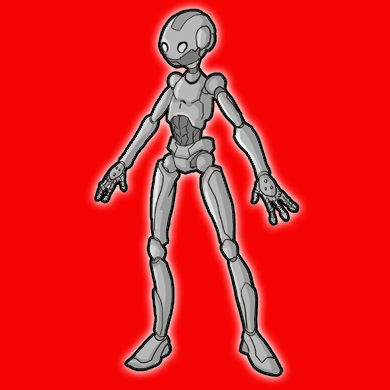 Drawing the human body has many approaches, especially in Manga / Anime where there are many different types of bodies that come in all shapes and sizes. 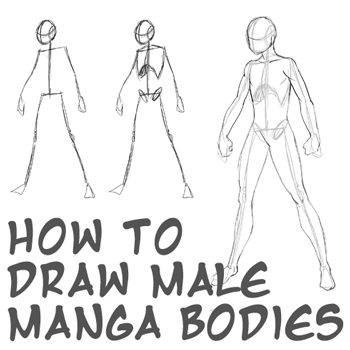 Here is the most basic, easy and commonly used method for male Anime characters. 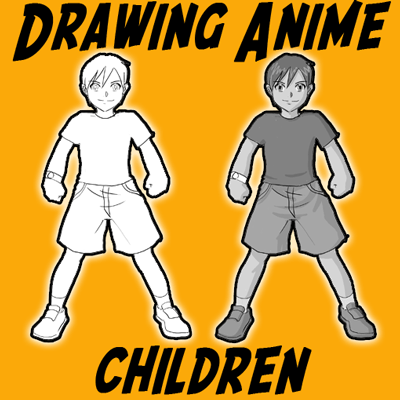 Just like any other type of illustration, there are methods and strategies to drawing Manga / Anime clothes. 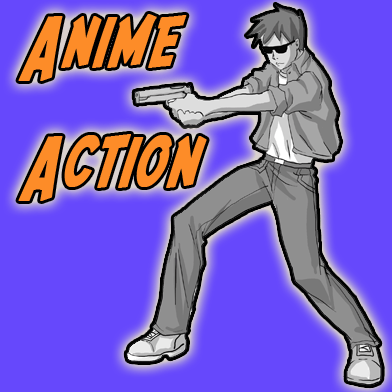 Clothing is very important in Anime / Manga character drawing. You cannot deliver good character drawing without proper implementation of clothing. 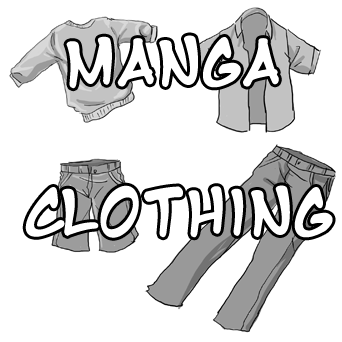 Manga / Anime illustration is rich in fashion so it is a great advantage to know how to draw clothing properly. 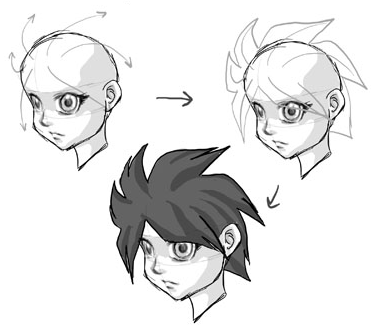 Here is a fantastic Anime & Manga Hair Style drawing tutorial for all of those Japanese illustration fanatics out there. Anime hair is pretty easy to draw compared to real structured hair illustrations so only a little bit of training is needed with impressive results.